Those photos were probably taken in the 1990s, before the MA60s were changed for ZX3s in 2000. The GEC Bricks on the M3W to M25N approach ramp have been relamped within the last week (or the installations were repaired). It appears that the M25 now has part night lighting on its NW section - north of J16 for the M40. The following are all dash cam images. Sign at J16 for the M40. Sign at J17 on the SB on slip. The roundabout under J17 still has one GEC brick on it which has been missed by the Hertfordshire LED retrofit. The M25 overbridges have recessed lights set into the bridge beams, whilst some of these are SON, there are a number which are still SOX and still working. Between J16 and J17 a new maintenance access slip has been built. These slips roads and the main carriageway lighting are now lit by LED. Returning home, the lighting on this section of the M25, is in a poor state of repair. There are large sections not working at all and many other where lamps are out. I suspect the lamps are at end of life - with no re-lamping since this section was widened and the lighting installed. More likely is that the wiring used on the 2009 widening projects was rather poor quality and parts of it have failed, leaving large batches of columns out of action. Presumably this is either too expensive to sort out or the contractor simply can't be bothered. Last year, several columns at J21 sporting MA60s (particularly on the M25E to M1N flyover) were removed, presumably because their steel foundations had failed structural testing due to corrosion. They are still missing and one can wonder whether they will ever be replaced. 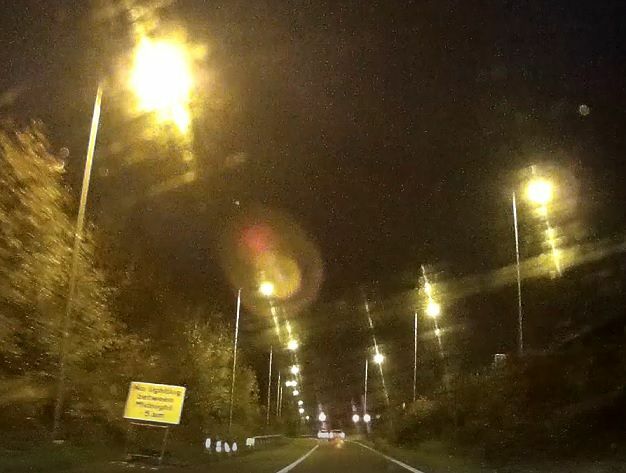 Highways England have chronic problems with the reliability of their lighting. It's especially embarrassing when you get faults with lighting that was completely renewed, cabling and feeder pillars and all, and lots of it fails after a year or two. Why are we having so many faults nowadays compared with decades past? Is there something fundamentally different about modern cabling and feeder pillars? Sensitivity of breakers over fuses is one think that springs to mind. It is one of the things that boils me up. Highways England replaced a shed load of 180W Sox on the highway in the skyway from the M65 to Rising Bridge with Phillips Lumas controlled by CMS. Rapidly about 30% of the stock began to dayburn. H.E. said this was due to irregularities in the supply frazzling the control gear. About 18 month later the issue was finally resolved with.... As I understand it, a return to group switching! I'd like to think that the work was under warranty from the contractor and at least at no further cost to the taxpayer. But i suspect not. Returning through the Stockport section that night, the stretch of SOX at J1 (Town centre), was showing early signs of failure, with several lanterns out. Unless the bulk relamping teams are behind schedule, I do wonder if SOX lighting here is destined to go the same way, as on the erstwhile M67 towards Hyde. Since this report was posted, the central res' stretch of MA SOX at J1, continued on a spiral of decline, with more lanterns increasingly out of use. However, following a late night return home on Sat 22nd Dec, I am pleased to report that the whole stretch seems to have been bulk relamped, with all the lanterns back in full glow. I wonder if the HA are using up their remaining stocks of SOX lamps on the M60? If I get the chance over Christmas, I'm going to try and get some pics whilst the lamps are still fresh. The M25 at J25 for Enfield, still has a fine array of gear in canopy MA50s (135W SOX) on the slip roads. I don't think any of them are working though. 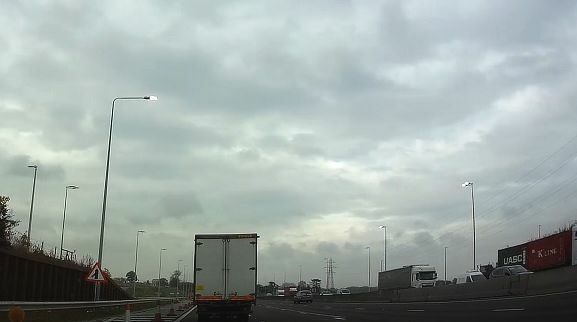 The columns with (mostly) MA60s on the sliproads of M25 J21/M1 J6a are being changed for new columns with LED lanterns similar to those used at M1 J6. Nothing has been done about the missing bridge deck columns. The catenary lights are still in situ, from the angle I was driving I could not tell whether they were being replaced.